Steemit Inc owns 24%+ of all existing Steem. If they are in for the long run, then it shouldn't be an issue to concretize their commitment. This move could help reassure investors in regard to Steemit Inc long term commitment. Steemit Inc has been capital in the development of the Steem software so far and thus the importance of such a move would carry a lot of weight. Maybe Steemit Inc could lock their current undelegated Steem in a smart contract that would allow them to power down only 10% of them every year over the next 10 years. This should be more than enough to allow them to cover the cost of their operations and if the price of Steem were to go up more than 10% a year this means their overall capital would increase over time. 10% is only a recommendation. I don't know how complex such a feature would be to add but I definitely think it should be discussed. Hey, buddy I am not sure I like what you are doing. Did someone from Steemit hurt your feelings or something, or are you paid to attack Steemit Inc and @ned every day? Mark Zuckerberg owns 28% of Facebook (still), why do you assume Steemit Inc. and @Ned Scott even want to sell their stake in the network they develop for? Please tell me what your true purpose is with these non constructive articles, they reek of anger, spite and jealousy IMO. I'm sorry you're taking it this way. It's only a suggestion. If they accept fine everyone is better but if they don't, that's fine too. They are free to do what they wish for sure and I wouldn't want it otherwise. Edit: My intentions are noble and because I respect you a lot, your comments and the comments from other people from SteemSpeak have made me reflect on the way I should go about trying to change things in the future. So I thank you for the comment as I think it helped me get better at what I'm trying to achieve. Sincerely. I stand behind the posts I wrote but I'll do things very differently from that point on. Thanks again! Asking for witness vote decay is attacking Steemit Inc every day. Who's really paid here. Why do you feel that asking for witness vote decay means "attacking Steemit" ? There are other people (including myself) who think that "witness vote decay" is an interesting feature that could potentially help the system: it would "stimulate" witnesses to not "sleep on their laurels" but rather go out and continuously engage with the community. Like in politics: if politicians were assured of your vote forever, they would make even less efforts than they make today, don't you think ? Bizarre comment. Witness vote decay is something that Steemit Inc themselves have suggested in the past. And believe me, I'm the first guy to deplore not having enough time to read more articles on Steemit! Ah ok, now I see what you mean. but he just wanted Steem Inc to send a message to the investors I believe, like XRP Locked some tokens. Pretty much everyone on here wants to see Steem /Steemit or aspects of it succeed and if this dialogue helps make the price go up then great. Totally agree with you @hiroyamagishi ! It just needs a little patience and things will get much better here. we are practically still in BETA. My calculation says it is 26.3~ percent. If ned's stake is included than it is 26.91% of all Steem. I calculated these accounts: misterdelegation, steemit, steem and ned. To be fair @Ned has been consistently selling his share for months. Ned says the account he transferred the money to is not his. I wonder whose account it is. finally someone sees the double standards of going at @teamsteem 's jugular and avoiding a pink elephant in the room. It is both Ned and Teamsteem's stake to do with as they see fit and people bitching about it are probably not going to want to be told how to spend their own money or stake. Thanks for possessing something besides groupthink and being logical. I don't see this as an attack, just due diligence by the community to improve things. Why do you cover your hair with that helmet? Surely it is as glorious as your beard. @fyrstikken, Facebook has sustainable revenue model such as Ads. What is the sustainable revenue model of Steemit inc? If there is no sustainable revenue model for the company, the easy answer is leave with money when they can. I have been searching exhaustively to find the business model (sustainable revenue) , but there were no clear answer. May be I missed it , but not on witepaper, bluepaper, or other existing posts. A person claim that the company make money when people do power up, which can be the sustainable source of revenue (a good thing), but NOT CLEAR. If I were a savvy, shark business man, I would leave with the last cash out at the right time. I have not think through of the aftermath...well.. if this happens, I think this online community will survive after the Steem value in the market hit to zero. In fact, it have already happened once, ay? If you see the statistic, someone cashed out A LOT when the fruit was well ripen. Teamsteem enjoyed a nice delegation for a long period of time, he also managed to amass over 65k steem at some point. He also was a top 20 witness for at least a little while. Currently, he has around 11k SP. He now holds a #34 witness position on a platform he has powered down 55k or so, and he wants to give advice on how SteemIt Inc should manage their stake? Edited as my original numbers were incorrect, as pointed out by the OP. I've never been over 65k. Many factors have influenced me to powerdown some of my Steem, in particular them owning around 40% of the Steem at some point and them powering down at 100% rate of what they own or at least a huge rate. I've also bought back many thousand worths of Stem when Steem was worth 10 cents. Okay, 65k Steem. I stand corrected. It isn't necessarily a bad idea in my opinion but I feel like there are 20 things that Steemit INC needs to do or needed to do for this place to not be so messed up. There is no reason why STEEM should participate in the bear market like the rest of crypto considering it has a legitimate platform and functioning product. Yet it ends up falling just as hard if not harder than other cryptos which are 95% speculation. Well there has to be other funding models like advertisements that will be paid to content creators in vested STEEM. So that Steemit INC is always using outside money to purchase STEEM and providing buy support on the exchanges. In the end Steemit Inc doesn't need to do anything. They are rich and @ned , the founders, and early investors successfully made a lot of money. Now it is a platform that probably 50 or so make decent money on and the rest fight for scraps and chase the carrot. They get free hosting though for their thoughts. Could it be better? Sure..... But it worked out fine for those who set it up. They got rich. End of story. You'd think someone with your amount of followers and age of account wouldn't need to boost each post onto trending to get responses. Seems like you have an ulterior motive here with these, team power downey junior. Most of the witnesses don't follow me. Most of the witnesses haven't answered even if the posts were on trending so I would have even less reactions if I hadn't put them on trending. I still very much want to see Steem succeed. I have all the incentives to. I have all the incentives to. I'll have to take your word for it I guess, not much else to back that up with. What do you mean? I can't short Steem. I own some Steem so I have all the incentives to see it go up. I don't know how it could be otherwise. It's not like I could make the price go down either. You're not that stupid that you can't see how filling trending with your negative and controversial posts wouldn't effect the price. Requesting features that are much needed are a negative thing? It seems like I've failed miserably if I tried to influence the price. Requesting features that have been discussed to death without bringing any new solutions to the table. People trade currencies for a lot more reasons than to invest in the platform, short term price proves nothing. My intentions are good. If Steem goes up then I'm making money. If it goes down then I'm loosing. I'm sorry if that appeared otherwise. I mean this. True but you've implied that I might have been trying to influence the price. Anyone can (be) short steem. It doesn't have to be a formal structure on an exchange. I'm not suggesting anything like that is going on here though. You're a witness yourself, it's not like there are no existing places where witnesses could discuss things among each other. I don't see many other backup witnesses raising questions and concern and feeling the need for attention as much as you do by buying votes as if there's no tomorrow. The direction Steem is taking isn't the sole thing of witnesses. I prefer it being discussed in public for the most part and on a decentralized platform. I wouldn't say this is a good idea, they could really hurt Steem if they were allowed to do whatever they wanted. Ten percent is good amount, 25 % is just a loot! I guess we need to take this article seriously. Pretty dumb idea IMO. This is supposed to be a decentralized and free platform. People should do what they want with their stake instead of having rules imposed on them. If people truly care about freedom and decentralization, then they must be willing to take the associated risks instead of treating them like a centralized authority that is obligated to behave a certain way. I've asked or suggested. Thank you for your kind words. Fair enough, thank you for sharing. I hope they do this, it would practically guarantee a successful future for STEEM tokens! yes, it does sound like more of a suggestion than an attack. I don't think forcing Steemit inc to lock their Steem will get us far in this direction but it's a good small step nonetheless. That's not a bad idea at all... and it could actually help the price of Steem, by taking a very large block of the currency off the table, and giving people exactly knowledge of exactly how much and when blocks would come to market. I don't claim to know the logistics and technical aspects of it, but seems like it would be worth pursuing. So kinda like putting in some ultra-hold hair gel? Not a bad idea. The crypto markets are quite turbulent right now. A little stability would be nice. It's a good article to consider. 24% of all existing Steem ... Thanks for this info. no me parece que se este atacando a steemit inc, simplemente es el punto de vista de teamsteem, la cual soporta en su post. Yes that would be a great idea. Technically I think it is not possible at the moment. But what can be done is lock it in a multisig account, but then you need to find trusted escrows. It would be amazing to have time-locks on steem! They could easily crash the market when cashing out even a small portion of their holdings. Steem's daily volume is low. You’re venturing into shitpost territory. Has he crossed the rubicon? I'm sorry you didn't like that one as much as the other. I'll try to do better next time. I take your opinion seriously. Alright, well my opinion isn't worth much of anything but I just have to say that I've been following @teamsteem for a while now and the sudden uptick in these sort of posts IS apparent. Whether you see them as positive, good or a mix might be up to the individual to decide for themselves. Certainly, your posting habits have seemed to chance as of late though. Again, just a obervance from a follower! why people leaving steemit network ?? Some leave, some stay, some come. Steem continues to improve though. Bear markets have that affect though. Helpfull post thanks so much..
Oops.... What's the matter buddy ??? I go with @fyrstikken here: from the outside it looks as if you were hurt and trying to balance accounts with Steemit, Inc. The problem with these multiple open letters is that with every new submission you'll be losing credibility. After the first letter many may have been interested, given your standing within the community. However, after the third attack boosted to trending, it looks as if you were just looking for reasons in order to constantly expose Ned and his team. As @acidyo perfectly mentioned: a responsible stakeholder wouldn't want the trending page to be paved with these type of messages. In only 5 days you'll be meeting the people who you are attacking here in person - why don't you wait and go discuss your points in a more professional way then? Ned even opens the conference with a Q&A where we'll have plenty of time to address the questions we want to be answered. 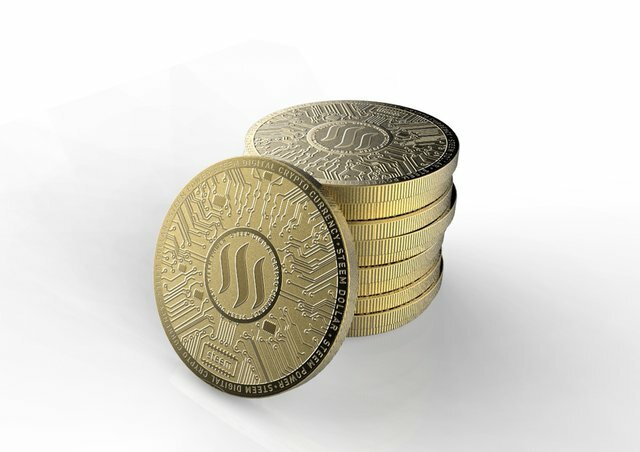 This year we have Steem inflation, a new 30 million Steem has been produced. So we should also include this solution that no longer has inflation. SMT's and account creation should burn a lot of it. Im not a coder, but i think, make a feature like this, is easy and quick. Interesting concept. Thanks for sharing. As a steemit noob, im looking forward to learning more about this platform and how to best utilize it. Don't follow everyone else and start buying votes to boost your posts. Thanks for the input. In all honesty, I'm not a huge fan of buying votes. Not a huge fan as well, they ruin content quality for Steem's frontpage. However, it also drives demand for Steem / SBD. Not against that but I don't see how it will make much of a difference. I would rather they delegate their Steem Power. You received more than 110000 upvotes. Your next target is to reach 120000 upvotes. You got a 100.00% upvote from @upmewhale courtesy of @teamsteem! thanks for information team steemit keep it up. "I advise Steemit Inc to lock their current undelegated Steem in a smart contract that would allow them to power down only 10% of them every year over the next 10 years." Oh Man, You just nailed it. I agree. Pretty well, ty. Earning 1-3 Steem per day from curation rewards, totally automated. That's a decent income, nice. A time-loocked stake can be unlocked so what is the point of locking it while it can be unlocked and then sold @teamsteem? But your suggestion might be good for the community. However powerdowning steemitinc's stake is always seen as a negative sign for many people. But I always give the benefit of the doubt thinking that they only needed money for gas or food, development work, etc. That is an interesting idea. I first found out about smart contracts a couple months ago when I started using @byteball. Still a complete noob though when it comes to blockchain technology. Sometime's its too much to take in. i dont know what is the future of steem when every country will do it own cryptocurrency, and only the guverment could mine it. This experiment of bankster is near of the end. Thanks for contacting Pancakes Express! Would you like to order pancakes? If you would like to order your own pancakes, just make a comment !pancakes anywhere on the blockchain and we will send you a menu. You make a good point on this post for our STEEM community. The feeling around the community (at least from my perceptive) right now is "WHERE WE ARE HEADING?". Are we just trying just to compete and then WHAT? the roadmap is clear? just about the CryptoMoney now? I do not agree with this proposal. Steemit Inc needs to have those Steem available to delegate to large projects. Is that Steem would be better without Utopian? obviously not. I think that investors are more attracted to seeing a dynamic ecosystem than one with a central holder. The different delegations that Steemit Inc has made have allowed the development of impressive ideas that have given more value to the platform than having those Steem saved. Look, I do not know the ins and outs of this argument, all we want is a streamless experience. You got more than 6750 replies. Your next target is to reach 7000 replies. Steemit Inc posee el 24% o más de todos los Steem existentes. Si están en el largo plazo, entonces no debería ser un problema para concretar su compromiso. Esta medida ayudaría a tranquilizar a los inversores con respecto al compromiso a largo plazo de Steemit Inc. Steemit Inc. ha sido capital en el desarrollo del software Steem hasta ahora y, por lo tanto, la importancia de tal movimiento tendría mucho peso. Recomiendo a Steemit Inc que bloquee a su actual Steem no delegado en un contrato inteligente que les permita apagar solo el 10% de ellos cada año durante los próximos 10 años. Esto debería ser más que suficiente para permitirles cubrir el costo de sus operaciones y, si el precio de Steem aumentara más del 10% anual, esto significa que su capital general aumentaría con el tiempo. 10% es solo una recomendación. No sé cuán compleja sería agregar una característica de este tipo, pero definitivamente creo que debería discutirse. No estoy de acuerdo con esto, pero cada quien tiene su forma de pensar y de cuestionar sus ideales. What’s the gaurentee steam won’t disappear? We need a gaurentee. I donot agree. They donot need to do this to gain investors' reassurance because there is no doubt prevailing at moment that Steemit Inc may not holds long term plans or their long term plans may be dubious . @teamsteem, I think I see your concern. Based on some research, Steem inc may make revenue by A) selling early mined coins, B) 'the' upvoting network, C) when user power up(SP), and D) sell and buy steem (sell when expensive and buy when cheep). Which options are the valid source of revenue here? Can you please verify for me and for the community? If A),B),and D) are the only way of their revenue, their revenue model is not sustainable. If this is true, perhaps, them 'non-long term commitment' is a better choice (cash out and invest somewhere else). I really hope the C) option is the case as it can be a sustainable source of revenue for the company, which will make them 'long term commitment'. Steemit revenue sources aren't an issue. @teamsteem, Yet you have not answered my question. I focus on the angle of Steemit's commitment. Steemit inc commitment and the revenue source are highly related. Could you please answer my question if you know the answer? it is okay if you simply answer "I don`t know." or I will have to assume you are avoiding the answer. As I underscored and explained on my previous reply, sustaining business model and the company's commitment are related. Well, this can be a sensitive matters. Please answer at least this simple question for me and those people who have doubt about this community. Does Steemit make money when people invest to SP? I really hope they do. steemit Inc possesses millions of Steem. As long as they have steem they can always sell those steem for revenue. If no they could aleays do like any other website and sell ad placement on their websites. There are many avenues possible. @teamsteem, Thank you for your answer. Some questions are remained unclear, but I will wrap it up from here. After some of more research , I may contact you back regarding this issue. Thank you. I think it is never great to tell other people what to do too directly, especially when it comes top what to do with their money. But stating what we need and think the community needs from steemit may be more effective. Thanks for this very on point comment. It was a very bad wording on my part. I've changed the title and some of the phrasing in my post after reading your comment. It's surprising that no one said something sooner. I very much appreciate this contribution and thanks for everything so far! I'd wish we'd have the chance to meet in Poland. Another time hopefully! Its an intresting prespective for sure. Muy interesante, lo mejor es acumular ya que si màs personas usan esta moneda su valor subirà considerablemente. Ripple inc incorporated this rather sucessfully last year. Steemit inc need to be able to monitize, with out everyone having a fit. They should have a short term liquididy plan as well as a long term one. This idea you put forward is very viable as part of a long term strategy. You just got a 0.28% upvote from SteemPlus! Rekt. Not a great way to promote yourself. Please don't spread unbacked claims like that. It only tells something about you nothing else. He is upset he was flagged (for copy/paste spam) and believes I receive his rewards (typically 2 cents) for flagging him. Thank for letting me know. Maybe I shouldn't have flagged but you can't come on my post claiming something that you aren't backing. It's beside the point but @themarkymark is someone I respect and with whom I've developed a trust relationship and consider a friend. He would have so much to lose from acting dishonestly on a blockchain where everything is public. No one is above messing up but then you would have to provide proof of what you're saying and not telling me I can simply verify your very vague claims. If I didn't know @themarkymark I might have simply ignored your comment but I know him and thus why I felt compelled to flagged your unbacked claims.